Description: One third of the text or illustrations that appear on the sign can be decided by the client. 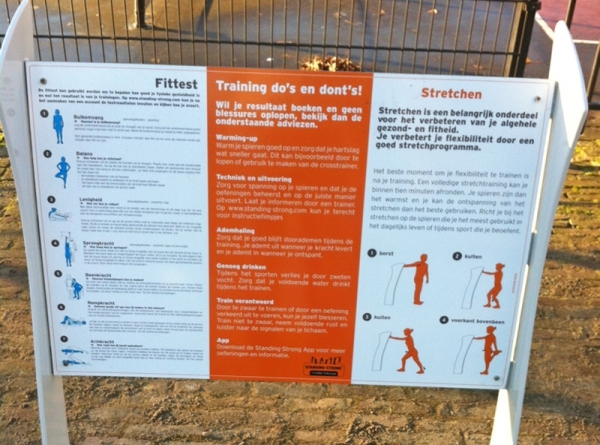 The rest of the sign is reserved for illustrations to show exercises, training information and publicity for the Training App and a link to it. The Training-App >> The app is a way of informing and motivating users of the outdoor sports area and is also meant to allow athletes and coaches to find one another.